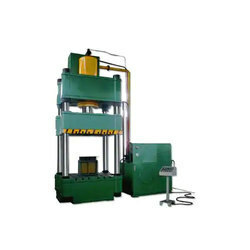 Providing you the best range of c type hydraulic press, hydraulic double action deep drawing press, four pillar hydraulic press and hydraulic press machine with effective & timely delivery. 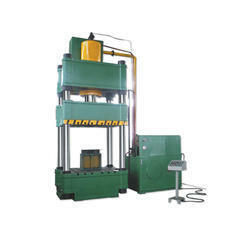 We are a renowned organization engaged in manufacturing a high-quality assortment of Hydraulic Press-C Type. Designed and developed in compliance with the prevailing market trends, these machines are largely utilized for various industrial applications. Catering to the individual requirements of our clients, we offer customization solutions at leading market prices. 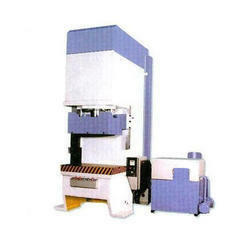 We are providing Hydraulic Double Action Deep Drawing Press to our clients. 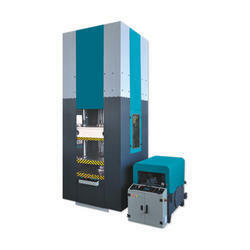 We are providing Four Pillar Type Series Hydraulic Press to our clients. The Shailesh product this series applies to the press techniques of various Metal, sheet metal as well as plastic materials, such as punching, Forming, bending, straightening and crimping etc. it can also be used for application like pushing mounting, forming of grinding wheel, press forming of plastic, rubber and powder Molding and compacting products. This series the machine Consist of three beams (crown, table, and slide) and four pillars structure. The hydraulic system consists of a manifold and Cartridge Valve design for fewer connection pipelines and fittings for minimizing leakage. The electric system supplies with relay or PLC to control circuit system. It has the Manual and semi-automatic operation mode. The whole machine features a simple, compact and economical structure, with reliable operation, long-term life, slight hydraulic impact force. The work pressure, press speed (Optional), stroke range of this series of the machine is adjustable within the specific range according to technical requirements and process preset pressure mode and stroke mode. During the preset pressure forming, there is a pressure maintenance delay and automatic return after the press. There is the knockouts (Optional) device used as the hydraulic cushion for forming or deep drawing products except for knocking out products. Limit switches for stroke Adj. and over travel safety.